your health care is coming from? Whether you have insurance through your employer or visit your doctor at a local Ryan White clinic, many people don’t understand who pays for their health care and what options they have. However, as changes continue to develop in the U.S. through 2014 especially in light of Health Care Reform, it’s important to know what types of benefits you have and where to go to find those options. Even though the information is out there, it may not be an easy road to follow. It may even take following several roads to discover all the possible benefits you’re entitled to. To illustrate, let’s look at two cases below where people didn’t know they could get their doctor’s visits and prescriptions paid for from other sources. Project Inform gets many calls like this about gaps in health care coverage. We’ve been able to assist hundreds of people throughout the U.S. tie into services they didn’t know about. The first case involves a disabled woman living in Los Angeles who did not qualify for either Medicaid or Medicare, two programs that assist disabled Americans. She went to a community health clinic for her HIV care, but the clinic isn’t an expert in HIV-related benefits. Her doctor wrote her HIV prescriptions, but neither the clinic nor she knew about ADAP. Her children were actually paying for the meds she took. This was a simple fix from Project Inform — linking her into California’s ADAP — but for her she simply didn’t know about it. The second case involves a man who moved from California to Ohio, who thought he could simply transfer all the health care benefits he received in California to the new state. He used Ryan White services to see his doctor and used ADAP to pay for his meds. However, after he moved he discovered that Ohio’s ADAP had a waiting list, so he found himself without meds. He didn’t know what to do or where to go for help in this emergency situation. Project Inform helped him identify the right pharmaceutical patient assistance programs that could provide him with free medication. To some people, these “fixes” may seem rather routine, and perhaps they are … for those of us who “know”. But many people simply do not know what to ask for or what’s available. It takes asking the right questions of the right sources to get answers about health care. One of the main sources of good information is talking to an experienced health benefits counselor (see bullets further below). When discussing your situation, be prepared to provide important financial and health information so the counselor can help you. Here are some suggestions on how to find out where your health care comes from. Don’t assume that you can’t get your medical care or prescriptions covered. Check in with someone at the clinic you go to for guidance. Ask who pays your medical care and prescriptions. Ask for program and contact info to keep in your personal records. Find a health benefits expert who can assist you and answer your questions, especially one who understands the unique programs available to people living with HIV. Dial “211” to find local organizations that have health benefits counselors, social workers or case managers. Talk to others like yourself, perhaps other patients at the clinic or support group members or friends of friends. You can benefit from hearing about how others have found their health care answers and options. Take care of each other. As you learn more about your benefits, share that information with others who may need help. Keep your health care information in a personal file: program descriptions, benefits details, up-to-date contacts and numbers, and review it yearly. Go online to ask questions in moderated public forums, Pozhealth.org or forums.poz.com. Consult HIVhealthreform.org for information on the changes under Health Care Reform. Consult atdn.org for contacts to key health care programs in your state. Consult www.healthcare.org for information on sources of health care in the US. Consult www.cms.gov cms.gov for information on Medicare and Medicaid programs. Consult db101.org for disability info in California, Michigan, Minnesota and New Jersey. Don’t give up. It may take time to find the right person who understands the system and can help you navigate it. In the end, knowing what’s available to you is, actually, up to YOU! No one is going to tell you all your benefits without you asking questions, so you have to ask … perhaps over and over. One exercise to do is to ask yourself some questions: “What if I lose this part of my health care? What should I do next? Where should I go for information and resources?” Though this may feel daunting to do, the point here is to plan ahead to know your options and possible benefits. You may just find that what you’re paying for out of pocket could be covered by another resource. Check back in the next few issues of HIV Positive! 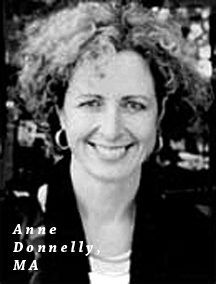 magazine as Anne Donnelly answers questions related to common life changes people experience that may impact their health care, including getting pregnant, losing a job or becoming disabled.